A review of your KRATOM TREATMENT OPTIONS in this article. Plus, you’ll learn what to expect out of rehab. Find the help you need. Why wait a day longer? Is Kratom Causing You Problems? It may be time to seek professional help. Drug problems are treated medically. In fact, you can significantly increase your chances for a full recovery with proper help. Here, we’ll review the most recent medical treatments for addiction. You’ll learn what to expect from a reputable treatment center and which therapies can help you. Finally, we invite your questions about treatment at the end. We want to hear from you, so please leave your questions in the comments section at the end. You can quit Kratom for good. Kratom (mitragyna speciosa) is an herb-like tree traditionally used in Southeast Asia. Preparations have been used for its medicinal properties. The tree’s bitter leaves are consumed for mood uplifting effects and pain relief and/or as an aphrodisiac. How does it work in the brain? ….especially when users consume large amounts of the plant. Mitragynine may also interact with other receptor systems in the brain to produce stimulant effects. When Kratom is taken in small amounts, users report increased energy, sociability, and alertness instead of sedation. However, there can be uncomfortable and sometimes dangerous side effects. In fact, cases of addiction are on the rise as Kratom use has spread to Europe and the U.S., where abuse potential and health hazards are being reported. Recreational Kratom use is known to cause psychological dependence, or a kind of mental need. Furthermore, people have reported tolerance to Kratom after six months of regular use. Still, the development of physical dependence and addiction depends upon the method of administration and the individual itself. For example, strains of Ultra Enhanced Indonesian (UEI) Kratom are known to cause addiction faster and harder than dried leaf. Some people chew Kratom leaves or brew the dried or powdered leaves as a tea. Sometimes the leaves are smoked or eaten in food. Although some people try to snort kratom, the administration is not as effective as when you swallow a capsule or drink it as a tea. Who is at risk of Kratom addiction? Clinically, any kind of regular Kratom use is associated with drug dependency, development of withdrawal symptoms, and craving. These symptoms become more severe with prolonged use and suggest a higher likelihood of addiction over time. So the short answer is: Anyone can become addicted to Kratom. Q: How can I know when my “harmless” recreational use has turned into a dangerous and progressive habit? 1. Close friends and family complain that you are aggressive, moody, irritable, and hard to get along with. 2. You are unable to meet deadlines and keep up with your peers at work/school without using Kratom. 3. You try to cut back or quit Kratom but never succeed. 4. You like yourself better when Kratom makes you feel powerful, social, talkative, self-confident, and less depressed. 5. You develop symptoms of withdrawal when you try to quit taking Kratom. If you recognize any of these signs of addiction, don’t panic. Recovery through medical treatment can get you back on track. Call to get in touch with rehab admission specialists. You can learn more about how treatment programs help treat the medical condition of addiction. Why wait another day longer? Every addiction experience is different. This means that we each start using drug for different reason. Naturally, we’ll each have a different recovery dynamic. Because we are unique, our experiences with addiction require a specialized approach. Medical professionals are aware of this fact. This is why high-quality rehabs spend a great deal of time collecting information. A reputable rehab will always create a specialized treatment program to best address your specific needs. So, the best treatment for addiction is custom made for you. Education about the damaging effects of drug abuse on your health, behavior and relationships with others. This offering may be called “Psycho-Educational Sessions” or “The Disease Model of Addiction” at the rehab center. Substance Abuse Counseling offers a base support system for those experiencing addiction problems. The purpose of addiction counseling is to teach people how to modify their behavior in order to successfully recover. Medication Assisted Therapy (MAT) aims to help you easily go through withdrawal or manage cravings. Sometimes, MAT is prescribed for more severe addictions or to help balance out neurochemistry. The bottom line is that some form of pharmacological help can stabilize brain chemistry enough for you to focus on deeper issues behind sue. Integrated or Dual Diagnosis Therapy is effective for those who need to work on any other mental and/or behavioral co-occurring disorders which may have been influencing drug addiction. A good rehab can identify and then either provide services or refer you to Dual Diagnosis treatment. Relapse Prevention Training teaches clients how to cope with triggering situations and cravings. These sessions also cover starting over after relapse. Aftercare services provide ongoing support for those in recovery. Regular, ongoing counseling helps stress the importance of a drug-free life and to make sure clients successfully complete their transition from rehab to their homes. Aftercare can include alumni meetings, psychotherapy, and sober living. Need help finding a rehab that’s right for you? The addiction treatment process is generally standard. It consists of the following stages. Do you feel that you have a problem with Kratom? Are you preoccupied with Kratom use and abuse? Do you use Kratom regardless of the consequences? Are you able to stop your Kratom use? How many times have you tried? How long have you been using Kratom? Have you risked losing your job because of Kratom? Are you uncomfortable in social situations without using Kratom? Do you rely on Kratom as a coping mechanism? Do you have a family history of substance abuse or mental health issues? What do you expect from treatment? The initial interview is not solely an information gathering, but an instrument for creating unique treatment goals and a specialized treatment plan. Not everyone requires detoxification during rehab. However, if you are physically dependent on Kratom you’ll need to get it out of your system before you continue. Detox is an intervention during which Kratom leaves the body and withdrawal symptoms are treated as they occur. This procedure supervised 24-7 in cases of physical dependence and often results in uncomfortable symptoms. This method is also used in emergency cases such as for acute drug overdose. The main treatments during rehab include psychotherapy and medications. Therapy usually follows detox and aims to help keep you in treatment so that you finish the course of your plan. During therapy, doctors work with addiction counselors to balance medications optimally so that you can focus on the inner work. Psychotherapists help teach you how to remain abstinent, modify your attitudes and behaviors related to Kratom, and increase your life skills to handle stressful circumstances and environmental cues that may trigger cravings and relapse. Inpatient, individualized programs are the BEST solution for those who truly want to recover from any kind of drug addiction. They provide a safe, drug-free environment, round the clock care. When therapy is combined with medications in a medical setting…you know that you have the optimal environment for recovery. Wonder if treatment could work for you? Call 1-877-688-2356 for an initial assessment. Kratom withdrawal is accompanied by mild effects. But, there have been reports from heavy users about some difficulties during their kratome comedown. What usually happens during withdrawal from Kratom? Kratom withdrawal is usually compared with caffeine withdrawal. In fact, there is a psychological unease from kratom withdrawal more than a physical one. Kratom withdrawal typically lasts between 3-4 days with a gradual improvement of symptoms after the second day. By the end of week 1, symptoms typically fully disappear. NOTE: If you have been using Kratom extracts, withdrawal symptoms will be more intense and discomforting than those from Kratom plain leaf. Kratom withdrawal help can come in the form of medically supervised detox in the safety and comfort of a residential treatment program. Don’t let withdrawal avoidance prolong your addiction. Let medical professionals help you detox from kratom SAFELY. Call. Our hotline staff is available 24/7/365 to help. Addiction is a devastating condition that affects millions of people. Not just those who personally struggle with it, but also those who love them. Relationship and families can be torn apart, jobs lost, health and personal values compromised. 1. Learn as much as you can about how Kratom works. This way you’ll understand why your loved one behaves in an irrational way. This website is a good place to start looking for informational resources on Kratom, Kratom abuse, and addiction treatment. 2. Hold an intervention meeting. An intervention is a face to face meeting where family members, friends and/or employer discuss with the addict about the consequences of his/her abuse. 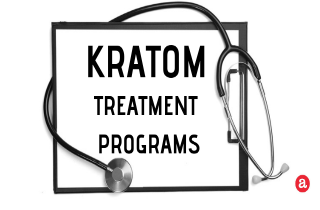 Because those who struggle with Kratom addiction are often in denial about their situation and unwilling to seek treatment, interventions have an educational purpose and their end goal is to convince the addict to enter treatment and receive professional help. 3. Look for treatment options. Call us for more information about rehab. 4. Transport the person to rehab and participate in therapy appointments, when needed. This way you’ll show them that you really care and support your addicted loved one through hard times. 5. Join an addiction support group meetings in the community. Narcotics Anonymous (NA) offers recovery from drug addiction through a 12-step program including regular attendance at group meetings. Nar-Anon helps family and friends of addicts recover from the effects of living with an addicted relative or friend. 6. Look for signs of kratom addiction relapse and learn how you can help your addicted loved one when they occur. Completing a recovery program usually makes you feel like you’re starting anew. When preparing to return to everyday life outside of your facility, people usually feel a great deal of excitement mixed with fear of failure. That fear is often the result of knowing that sobriety must be maintained, which can be difficult when returning to an environment full of memories associated with drug use. No matter how productive and positive your rehab program has been for you, sobriety and other life improvements won’t be sustained if you return to old habits. This is why aftercare programs are essential to maintaining long-term sobriety. An aftercare program helps you return home knowing that the positive changes to mind, body and spirit achieved in treatment can be maintained with support of a knowledgeable staff. Yes, treatment can work. But you have to give 100%. Recovery works for those who are willing, prepared and strong enough to go through the process of change. While some people may need to go through treatment more than once, others manage to recover faster. We know that behavioral change can be challenging but isn’t YOUR LIFE worth a chance? If you think these qualities matter than call us TODAY to get help for your Kratom addiction. We can help you explore your treatment options and find a program that meets your unique needs. NCBI: Kratom (Mitragyna speciosa) dependence, withdrawal symptoms and craving in regular users. Hi Kevin. I suggest you call the helpline you see on the website to get in touch with a trusted treatment consultant who can help you find a program that fits your needs.